When most people hear about malnutrition, they think of poor or impoverished individuals. However, malnutrition is actually most common among seniors and could potentially impact your elderly loved ones. Simply put, malnutrition occurs when your body isn’t getting enough nutrients such as proteins, vitamins, carbohydrates and fats, in order to work as it should be. Seniors who are malnourished are also more likely to suffer from falls—which are the number one reason elderly adults end up in the hospital. 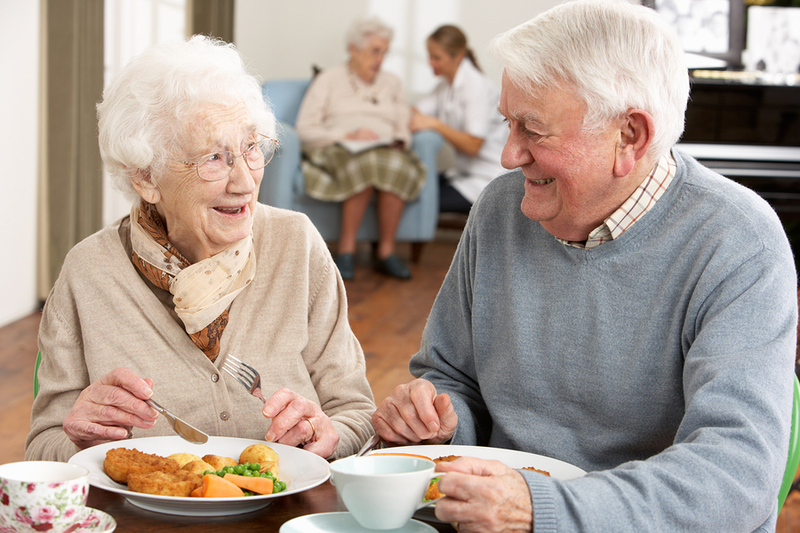 With these serious health risks in mind, it is important that as a senior caregiver you are making an extra effort to keep your loved one as healthy as possible while preventing issues with malnourishment. Make sure you are helping your loved one eat. One of the best ways to make sure a senior is eating is to monitor their meals and watch them do it. Encourage your loved one to make better food choices. Many times, malnutrition isn’t just from seniors not eating, it is from them eating the wrong Try to encourage a diet filled with healthy fruits, veggies and lean proteins and one void of sugars, fried foods and salts. Don’t forget about snacks. These are a great way to help seniors who may be at risk for malnutrition to get some extra, healthy nutrients into their everyday diet. This is especially helpful for those who can’t eat a great deal in a single sitting. Encourage seniors to start working out more. A little exercise can go a long way in improving a senior’s appetite and it is good for seniors. Consider supplements. If your loved one isn’t getting the nourishment they need from the foods they are eating, try to add those nutrients to their diet anyway with supplements. While getting vitamins and minerals directly from food is always the best, supplements can really help fill in the holes. Take your loved one to their doctor. Many times, medical professionals will be able to help determine what the cause of your loved one’s issues with nutrition are, if you cannot get them to maintain a healthier diet on their own. It is important to note that sometimes malnutrition in seniors happens on accident. In certain cases, seniors may forget to eat, lose their appetite or not have enough money in order to eat healthy. However, in other situations, issues with dementia, health problems or medication side effects can all ultimately increase a senior’s chances of suffering from malnutrition. Keep these easy tips in mind if you suspect your loved one may not have the healthy diet that they need, it may make all of the difference in their overall health and well-being moving forward.